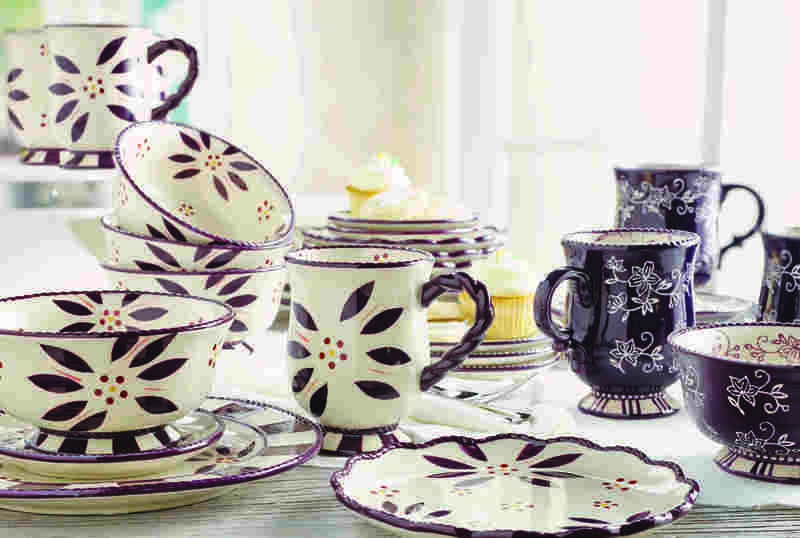 Dress up your table in a fresh new style – with Today’s Special Value – my brand new 20-piece Service for 4 Dinnerware Set! These fresh new designs truly are a labor of love. I spent over a year gathering inspiration, sketching, playing with pattern elements…all so I could give collectors of Old World and Floral Lace a beautiful new update on these beloved patterns. For Old World, that meant enlarging the Old World flower to become the heart of the pattern, then framing it with a charming checkered border. I also added a braided edge because I know you love those rich, sculptural details. And for Floral Lace, I took my inspiration from the streets and styles of Paris, by pairing elegant beading with a border of embossed Parisian stripes. Best of all, when you combine these new styles with your existing Old World and Floral Lace pieces…the effect is simply stunning! Don’t miss the wide array of complementary pieces on Old World and Floral Lace available on temp-tations.com. (Including my NEW Floral Lace Tea Set.) Now it’s so easy to makeover your table without having to start from scratch! 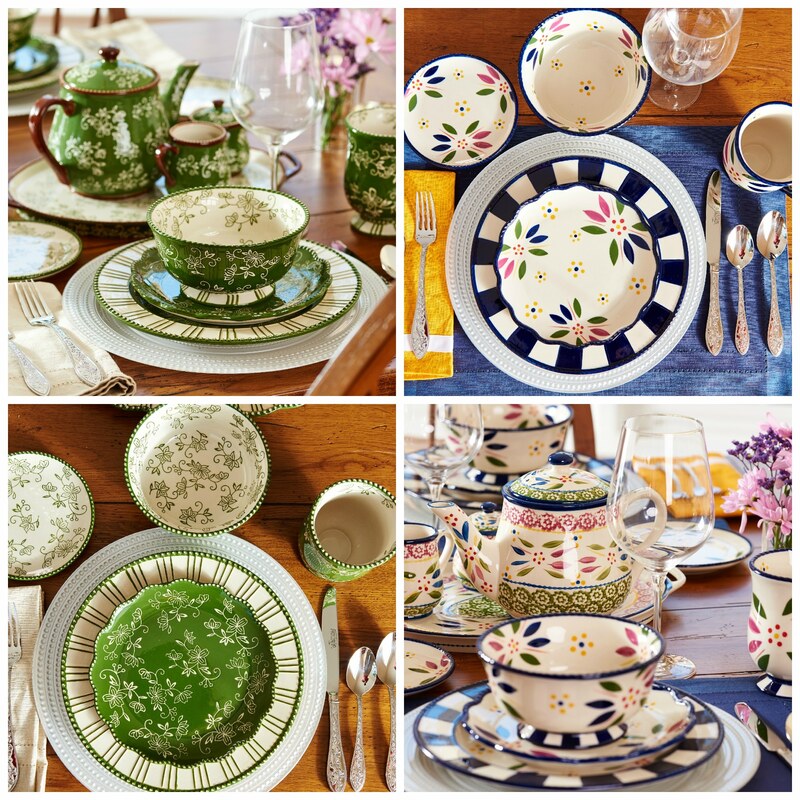 I can’t wait to share my new 20-piece Service for 4 Dinnerware Set with you on QVC! The colors, the patterns, the textures, the style…it all just pops so beautifully on camera.